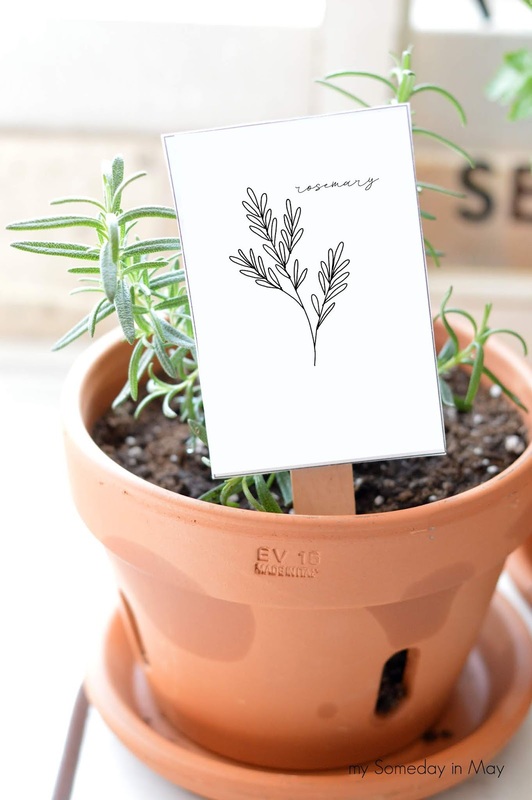 I picked up some rosemary and parsley at Home Depot and drew these simple herb markers to go with them. 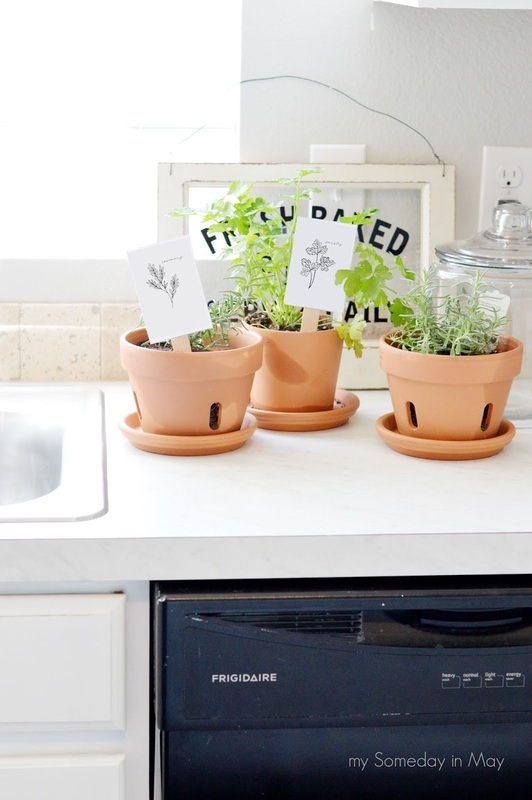 I just printed them out, cut them out, and taped them to popsicle sticks and stuck them in the pot. 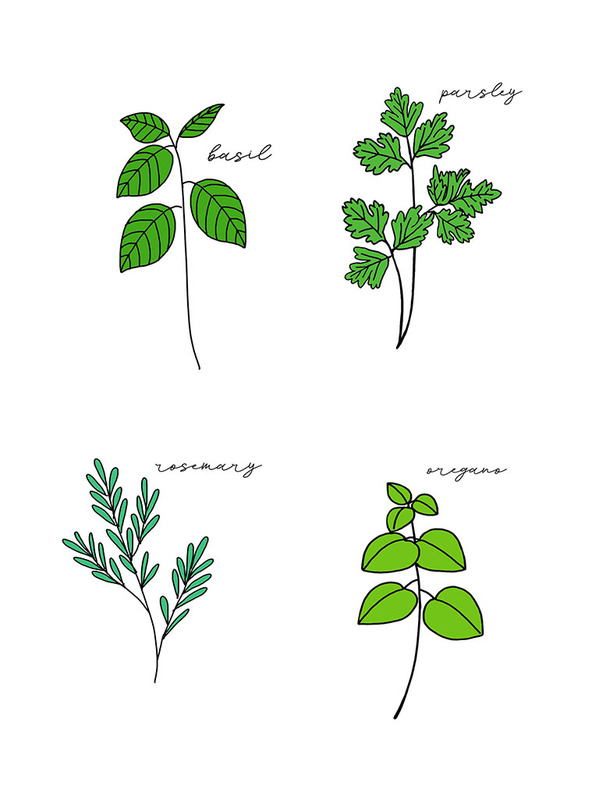 I drew four different herbs and did a black and white and a color version for each. 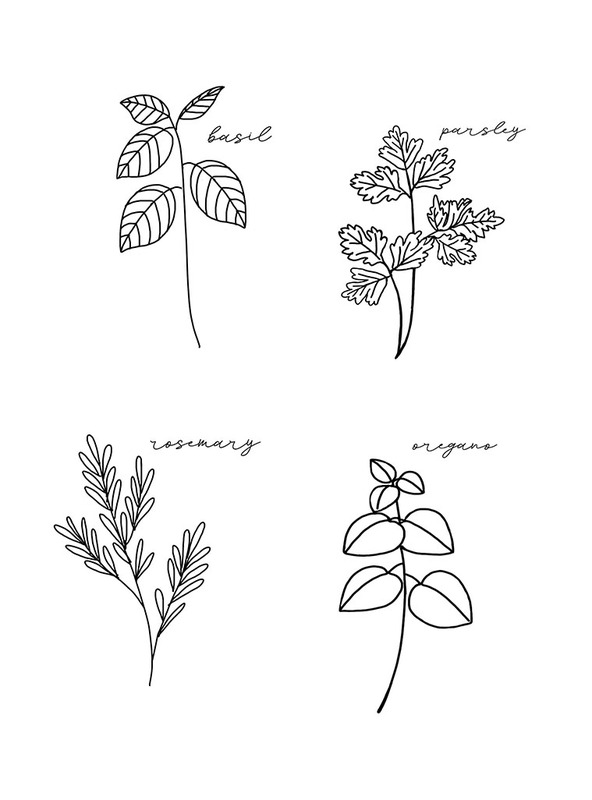 I included the black and white version and the color version of each herb in the same pdf so you can pick which one you want! My own little garden in my kitchen makes me so happy. I don't have the best track record for keeping plants alive so I'm hoping this little garden will survive me. 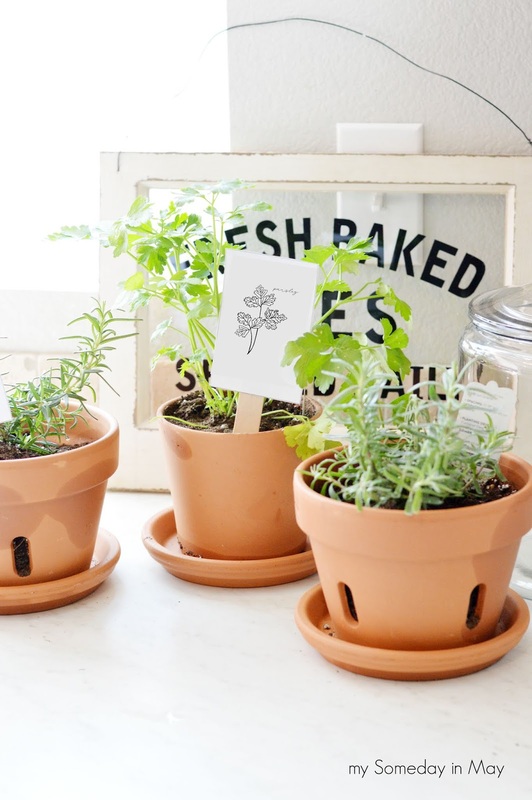 It helps to have them next to my sink so I can remember to water them haha! 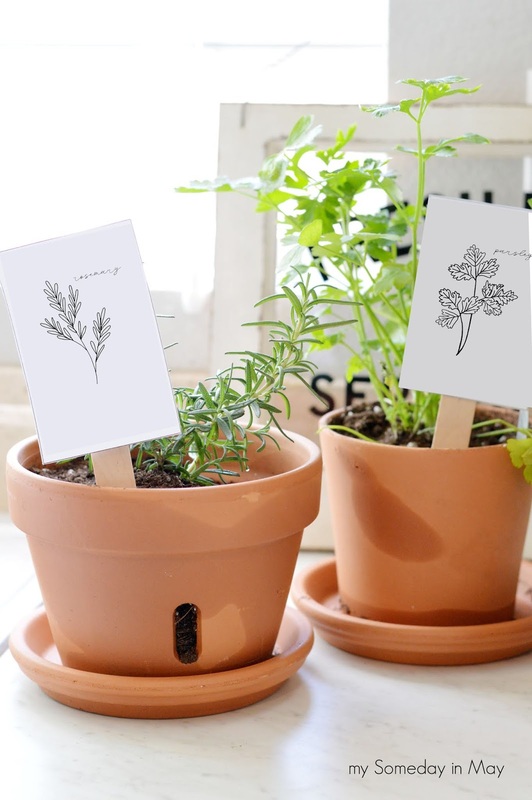 If you'd like to print my spring herb printables you can download the pdf HERE. Thank you so much for stopping by! 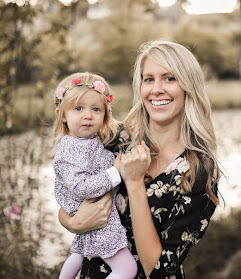 I'd love for you to follow me on Facebook/Instagram/Pinterest and stop by again! 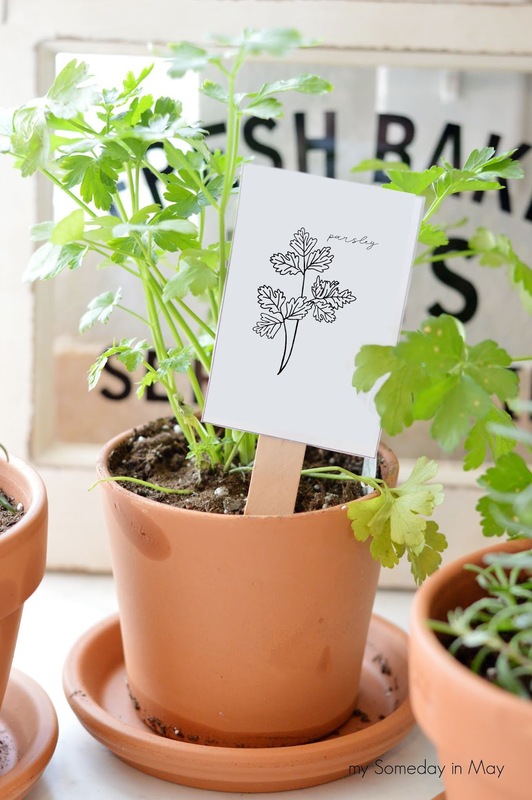 Don't forget to check out these other fun Spring Printables! !